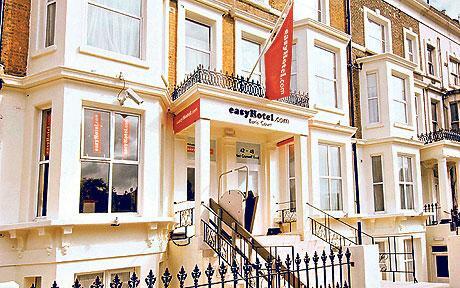 One of the most appreciated accommodations in London is the easyHotel brand, mainly due to its vicinity to the main airports in London (Heathrow Airport and Luton Airport) and the decent prices, suitable for every type of traveler. easyHotel Earls Court is another example of a successful place. As it is at a very close distance from Earls Court Tube Station, you practically have at your disposal any district in London. However, there are a few important attractions nearby, without needing any public or private means of transport, such as the Natural History and Science Museums, Kensington Palace and also the famous Harrods department store. If you are interested in a night out, you will be thrilled to know that Olympia Exhibition Centres is at a few minutes away. Thus, you have the chance to see great concerts and galleries. When it comes to restaurants and coffee shops, Earls Court area is filed with excellent places, not to mention the chance to shop in famous fashionable areas like Kensington and Knightsbridge. If you are a business man or woman in search of the perfect meeting venue, this is your lucky day, as easyHotel London Earls Court is situated very near to the Earl’s Court Exhibition Centre, Kensington Village Offices and Clearchannel Advertising. In order to get a Stansted to easyHotel London Earls Court Transfer by rail, you could take the train from Stansted Airport (every 15 minutes) via Tottenham Hale Underground (every 5 minutes) and Green Park Underground Station (every 5 minutes), finally enjoying a 7 minute walk. This journey might take about 1 hour and 10 minutes. The second option is to take the bus from London Stansted (every 60 minutes) via Victoria, Grosvenor Gardens (every 5 minutes), and ending with a 1 minute walk. This journey lasts about 1 hour and 51 minutes. A Stansted to easyHotel London Earls Court Transfer by car can be done by taking the M11 motorway. Stansted Airport is at a 43.8 miles distance from easyHotel London Earls Court. This journey will take about 1 hour and 6 minutes, without including traffic. A Stansted to easyHotel London Earls Court Taxi Transfer with 247 Stansted Airport Transfer is going to take about 1 hour and 46 minutes, including rush hour traffic. The price for a Stansted to easyHotel London Earls Court Taxi starts from 62 GBP.